Keeping your company safe from outside threats is important. It is especially important to ensure the protection not only of your merchant account, but also the accounts of your customers. Losing your customers’ sensitive data to hackers is a quick way to lose customer trust and ultimately the very business you’ve spent your hard work building. This first tip may seem simple on the surface, but it’s the first step you should take to make sure your merchant account hasn’t been compromised. It is important to check it every day to make sure no one has been fiddling around with it or trying to place bits or pieces that don’t belong. A skimmer is easy to install, and they can be small, unobtrusive and easily overlooked. 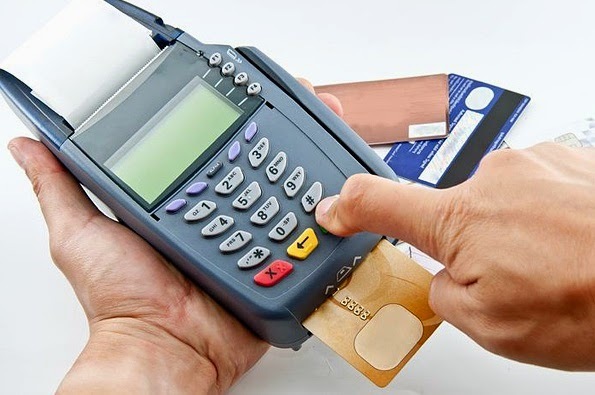 Each type of credit card machine is programmed with a variety of protocols to prevent things like phishing or skimming, and it is important that you keep these up to date as often as you can. Wherever you purchased or leased the machine from, make sure that the protections are all up to date. One of the easiest ways to have your account hacked is for someone to see important information about it. This can include any number of numeral codes or account numbers. Do not leave these things lying around as someone could easily steal them and use them to access the account and all of your funds. It’s worth investing in a paper shredder to dispose of all your sensitive information safely. The whole processing concept takes place over internet protocols, and these are protected by your internal network or internet connection. If you lose control of this security, everything else, including your accounts, your customers and all files you have on record, are at risk. Protect your passwords and don’t let anyone use your network that you aren’t secure with using it. It’s advisable to update your passwords on a regular basis. A check 21 processor is a third party company that works similarly to a gateway between you and your merchant bank for your credit card processing machine. They provide additional layers of security to help prevent fraudulent process from slipping through the system. They offer services separate from your bank, however, and as such, cost an additional fee. These are only a few of the many ways that you can prevent hacking when it comes to your credit processing account. It’s imperative to implement all of these strategies to ensure your merchant account is fully guarded against hackers. Talk to your payment processor for even more ways you can prevent abuse. He is a passionate Blogger, Entrepreneur, Writer and Thinker. He has been blogging from last couple of years and love every thing about it. He covers almost every thing related to technology on his Blog.